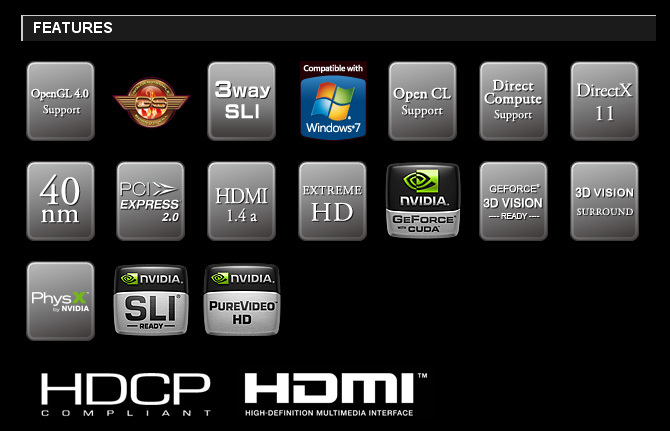 Gainward has announced its two version of the recently announced GeForce GTX 580 video card. 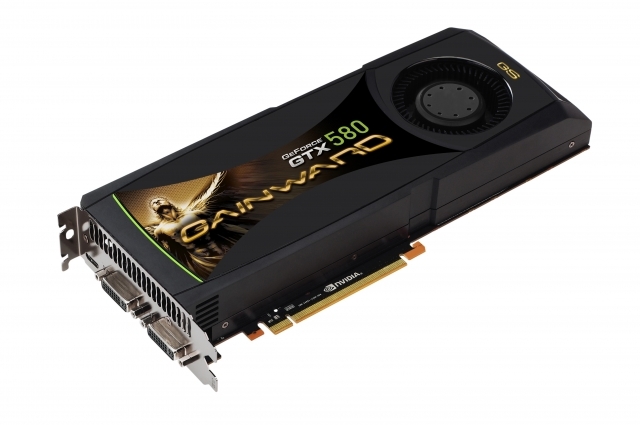 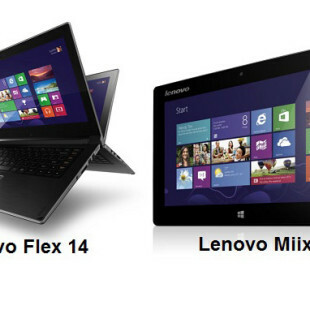 Based on Fermi-architecture GPU (GF110) the first one offers standard stock clocks and the other is the overclocked “Golden Boy” of Gainward, claimed to be the world’s fastest DirectX 11 GPU. 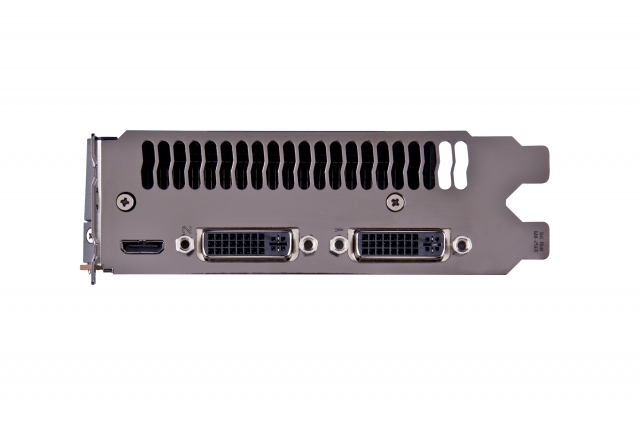 Both video cards have 512 CUDA Cores, 1536MB of GDDR5 with 384-bit memory interface and are cooled by “high performance 2-slot cooler”. 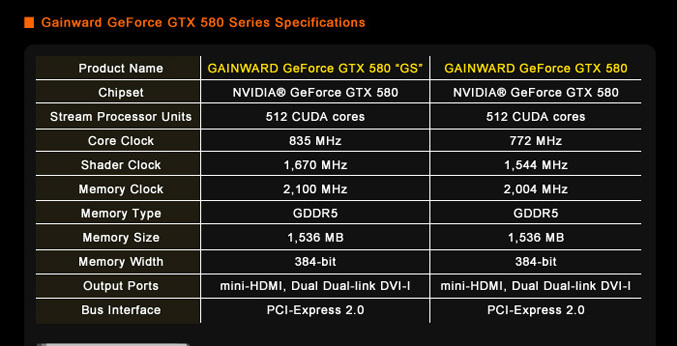 The more intriguing, Gainward GeForce GTX 580 “Golden Sample” has GPU overclocked to 835MKz, shader on 1670 and memory clockspeed of 2100 Mhz. 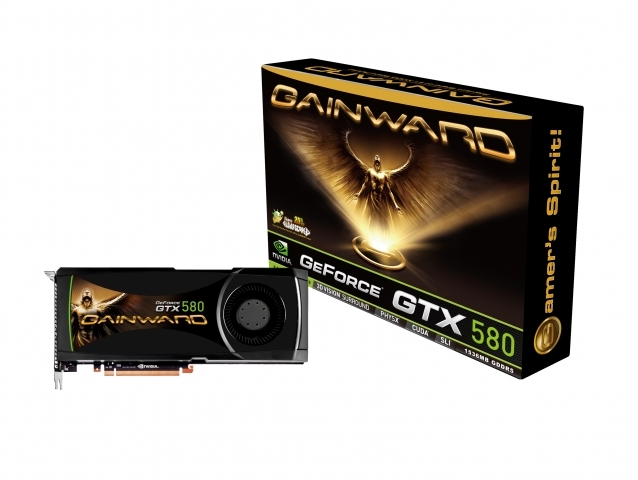 The Gainward GeForce GTX 580 series is equipped with dual-DVI and mini HDMI outputs, and have an optimized cover design, achieving a better SLI configuration even when powered in full compliance with 3-way SLI.